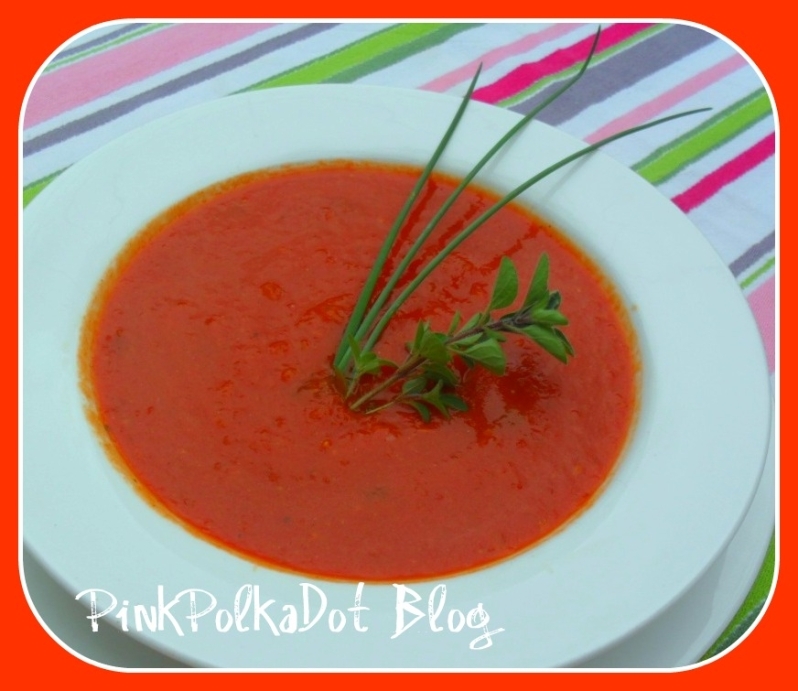 I just love tomatoes and tomato soup is one of my all time favourites!! 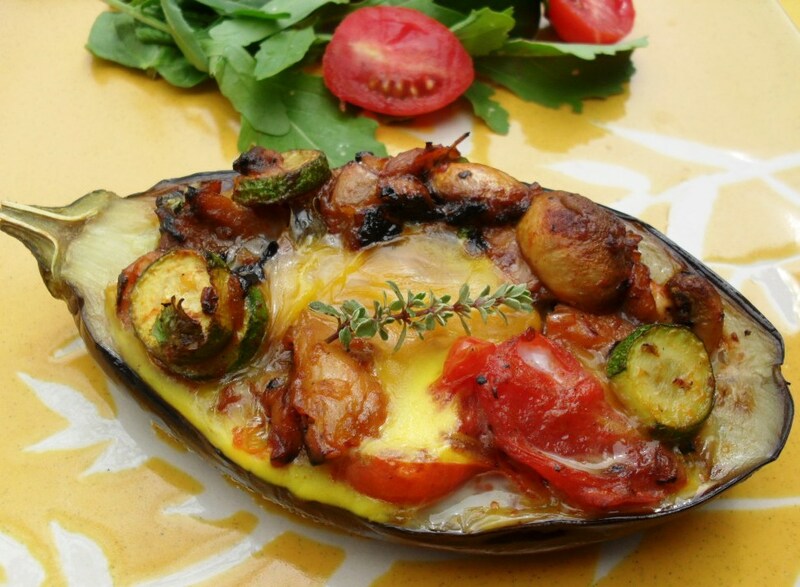 One of my first posts was about tomatoes and various tomato dishes –you can find the post here! 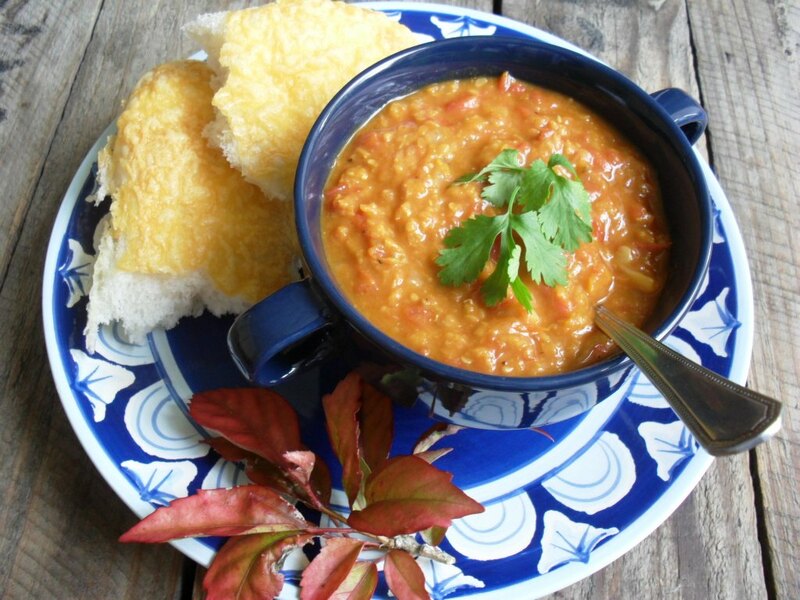 This soup is easy to make and very delicious! Add the onion, garlic, tomato paste and sugar and mix. Sprinkle the cumin, Cajun spice, coriander, turmeric, cayenne pepper, thyme leaves and orégano over. Add 250ml of the vegetable stock and cook in the oven for another 20 minutes. Remove from the oven and cool slightly. Place in a liquidizer and blend until smooth. Return to the roasting pan and add the last 250ml vegetable stock. Place back into the oven and cook again for another 20 minutes. Ladle into serving bowls and garnish with some orégano, chives and thyme. 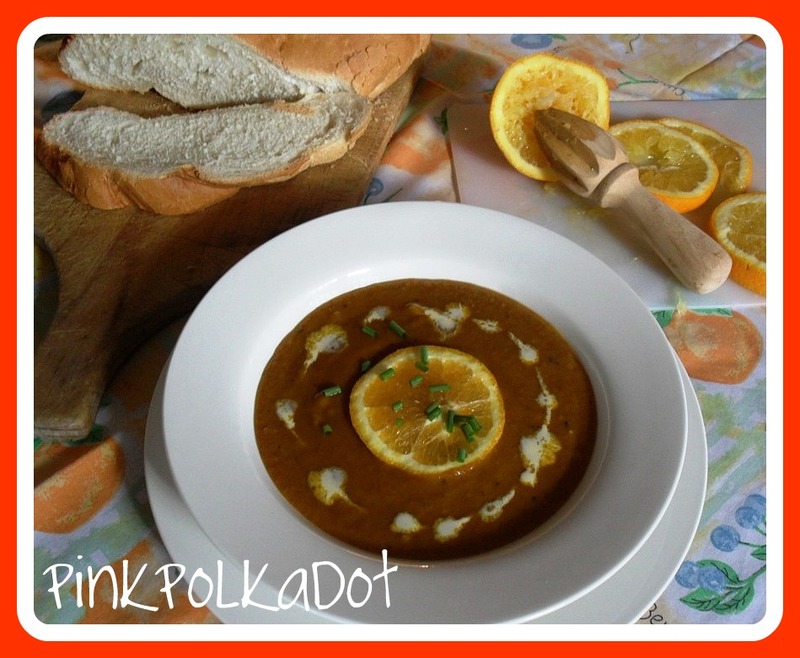 This is a wonderful tasty soup and taste even better if you leave it for 24 hours, reheat and serve!! 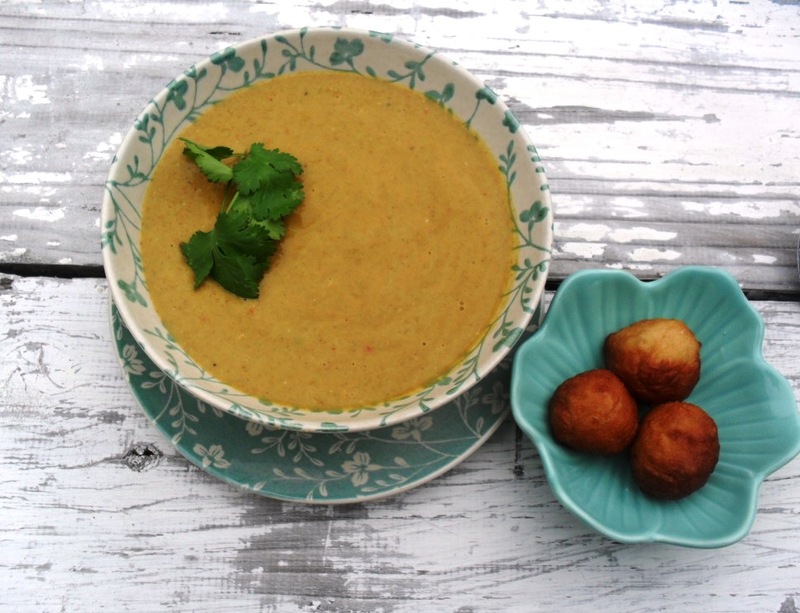 Lightly curried lentil and tomato soup Cream of rocket soup for Meatless Mondays Spicy butternut and orange soup Spicy lentil soup Baked Brinjals for Meatless Mondays! Ooo, PInks now you are talkingmy language. 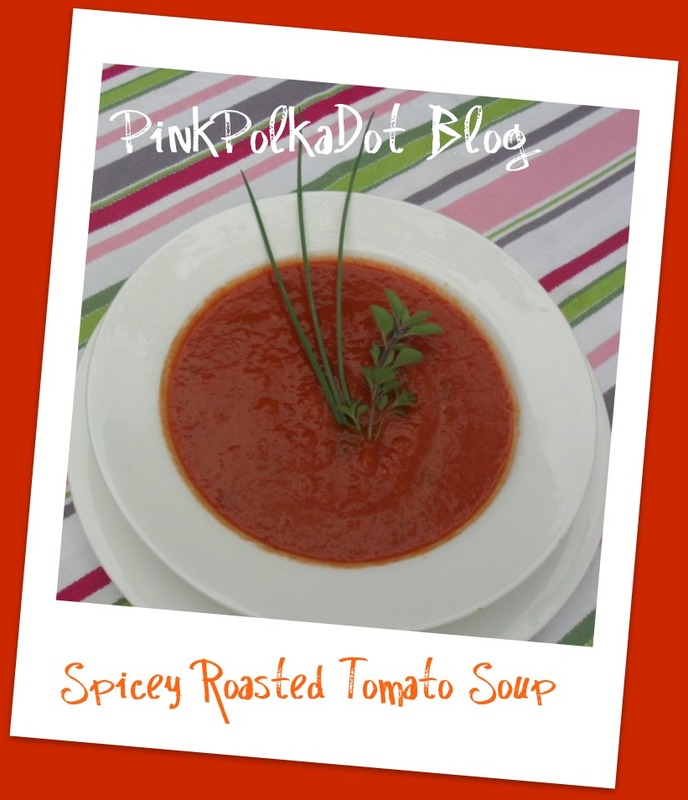 Love tomato soup and the little spice and heat you have added is perfect. It is very nice – especially for this weather! I wish I was not lacking most of the ingredients. 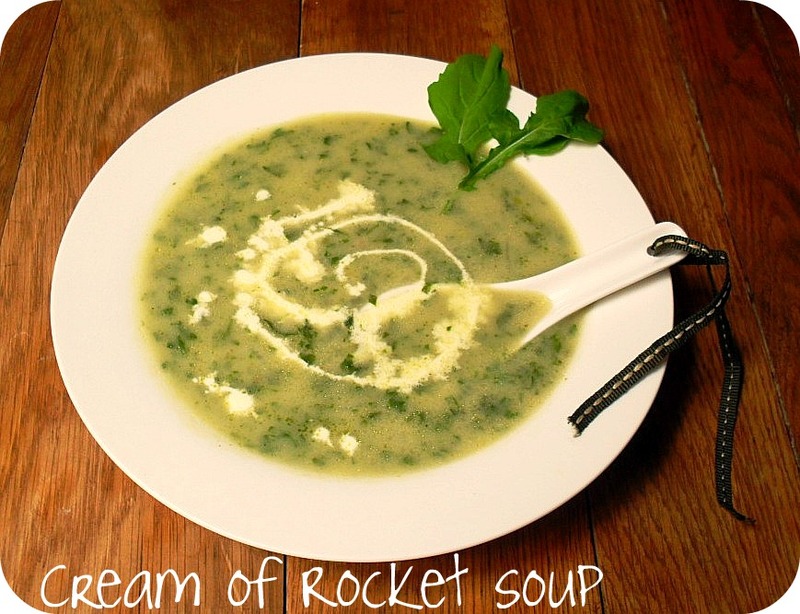 This soup looks and sounds delicious. I love tomato soups. Thanks again for the visit and the comment! Thanks for the visit, Brownie! Congrats Zirks, you won the weekend away for two in Knysna, will send you the voucher as son as possible!! Wow, Nina, this is great!! You made my day! !